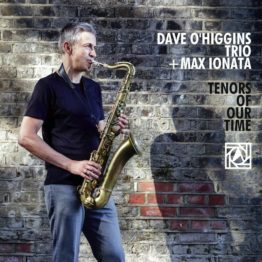 Dave O’Higgins is a saxophonist, composer, arranger, educator and latterly recording engineer and producer. He has been a popular figure on the UK and international jazz scene for 30 years now, with 19 albums as leader under his belt. Dave’s tenor and soprano sax sounds are highly personal and recognisable, with a clear sense of melodic development and adventure. A popular performer with the public, with an excellent sense of pacing and presentation, he has a wide palette from Charlie Parker, Dexter Gordon, John Col-trane, Joe Henderson through to Stanley Turrentine and Michael Brecker. He has relentlessly pur-sued artistic and sonic exploration, and enjoys the learning process which is a constant advancing flow. 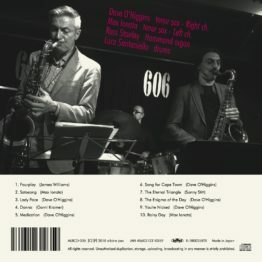 The Dave O’Higgins Quartet are currently doing a massive 34-date tour of the UK promoting the new CD, It’s Always 9:30 in Zog, Sept-Dec 2017 with the help of awards from the Arts Council of England and PRS Foundation. Dave is a highly regarded educator at the LCCM, where he is the Jazz Pathway Leader. He also runs a small specialist jazz recording studio (JVG), in search of the optimum way of re-cording jazz musicians through a combination of old techniques (á la Rudy Van Gelder) and newer innovations. A couple of years ago, Mark Reilly (Matt Bianco) called Dave (who used to play in the band) to suggest co-writing some songs. These have become the backbone of the new Matt Bianco CD, Gravity, due for release in Japan in August. Dave’s quartet form the heart of the new band, and the instrumental parts for the new album were all recorded at JVG. This new lineup toured Japan and Italy recently, with dates coming up in Spain and Holland. Dave has toured and recorded with hundreds of artists all over the world. He feels his main ap-prenticeships were served with,. He spent years working with all these fabulous musicians. Dave has worked with some of the world’s finest musicans, including: Joey Calderazzo, Joe Locke, Dave Kikowski, Eric Alexander, Grant Stewart, Max Ionata, Phil Dwyer, Adam Nussbaum, Joe Lo-vano, Phil Woods, Jimmy Smith, Nancy Wilson, Peggy Lee, Kurt Elling, Wayne Shorter, Eddie Gomez, Billy Childs, Abdullah Ibrahim, Chico Chagas, Stephane Grappelli. Also on the CV: Frank Sinatra (the last London appearance – a week at the Royal Albert Hall in 1992) and a tour and album with Ray Charles (Strong Love Affair).